Fish farming in Nigeria is a must for every entrepreneur who plans to tap from the inexhaustible wealth that farming has to offer. We have already established that starting a farming business is a great avenue to wealth. Even more lucrative than most paid jobs. Goat farming, poultry farming, pig farming, snail farming and fish farming are great options. For those who have been looking for unexploited small business opportunities and for those who would love to laugh all the way to the bank without having to worry about extreme competition, I recommend cat fish farming in Nigeria, Kenya, and Africa at large. Like rice, vegetables, and other farm produce, fish is another common food in Nigeria. The demand for fish in Nigeria is so much that the current amount of fish harvested from our water bodies has not managed to serve the increasing demand. It is estimated that Nigeria consumes 1.2million metric tons of fish every year, with 85 percent imported. In fact, Nigeria is one of the world’s largest importers of fish, spending about N97 billion annually. To satisfy this demand, Nigeria imports a large portion of its seafood. Since domestic supply is lower than demand, we strongly believe that investing in fish farming in Nigeria is as profitable as playing for a reputable football club like Real Madrid. To guide you in this lucrative business, here are some of the things that you should consider. IS FISH FARMING IN NIGERIA PROFITABLE? This is a very popular question and perhaps the most important question from potential investors in this business. Is fish farming in Nigeria a profitable farming venture? And the longer answer is YES! YES! YES! YES! YES! YES! There is a ready market for fishery products in Nigeria, Kenya, and Ghana. Fish is consumed every day in homes and restaurants alike. It is served in parties and various celebrations all over the continent. What this implies is that you will always have a place to market your products no matter the season. Better still, there is a spike in sales during the festive seasons. With proper marketing, you are certain of huge returns on investment. As we advance in age, it is usually advised that we reduce the consumption of beef and begin to consume more fish. Isn’t this great for fish farmers? Fish is a great source of protein. It is equally rich in vitamins [such as D and B2 (riboflavin)] and other minerals like calcium, phosphorus, iron, zinc, iodine, magnesium, and potassium. Perhaps, the most notable component of fish that makes it highly recommended is Omega-3. Fish is the biggest source of Omega-3 fatty acids which are extremely beneficial to the human heart and brain. The human body doesn’t produce Omega-3 fatty acids, but fishes do. Fishes grow very fast as long as you feed them optimally. Simply put, if you stick to best practices in fish farming, it is possible that you will start harvesting and selling your fish within the shortest possible time. This fast growth gives the farmer an opportunity to make a profit quicker than is expected if it were goat or cattle rearing. It is possible to start fish farming in Nigeria at your backyard. You don’t need millions to start your farm. You can start small and grow big. Unlike poultry farming, you can set up your fish farm anywhere, including residential areas. They cause less environmental pollution than poultry farms. This scalability reduces the initial capital needed to start your fish farm. Thereby making it profitable to break even and also make a profit from the start. Now that you are convinced that fish farming is the way to go, it is important to have a business plan. Aquaculture(Fish farming), like any other business, can’t be started with due financial analysis. As a newbie, it is good to start small scale and grow the business as you gain experience and expertise. As time passes you will gain experience on how to tackle the associated business risks and you might find yourself ready to venture in large-scale fish farming in Nigeria, which is very profitable. It is difficult to state with certainty the actual cost of starting a fish farm in Nigeria due to the differences in location and the economic situations in the country. purchasing or renting a piece of land, especially if the land doesn’t belong to you. the cost of buying fingerlings. While setting up your fish farm, take note that you will need a good sum of money. Starting fish farming in Nigeria is capital intensive, compared to poultry and snail farming. A relatively small fish farm may take up to N500,000 to setup, while bigger ones will cost a whole lot more. There are many varieties of fish around the world and not all these varieties are can be grown in Nigeria due to the difference in climate. In fact, very few species can be used for profitable fish farming in Nigeria. Catfish is the most common type of fish reared in Nigeria. It responds well to the Nigerian climate and it is loved by most people as a good source of meat. 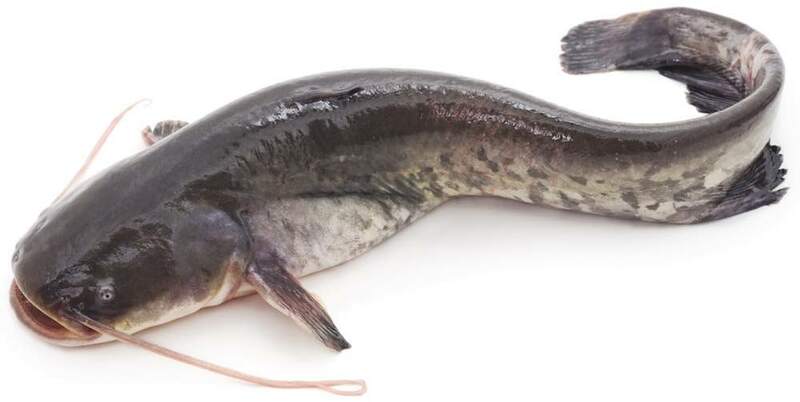 Heteroclarias, Clarias nigrodigitatus, Heterobranchus bidorsalis, and many others are some of the common catfish varieties for commercial aquaculture in Nigeria. 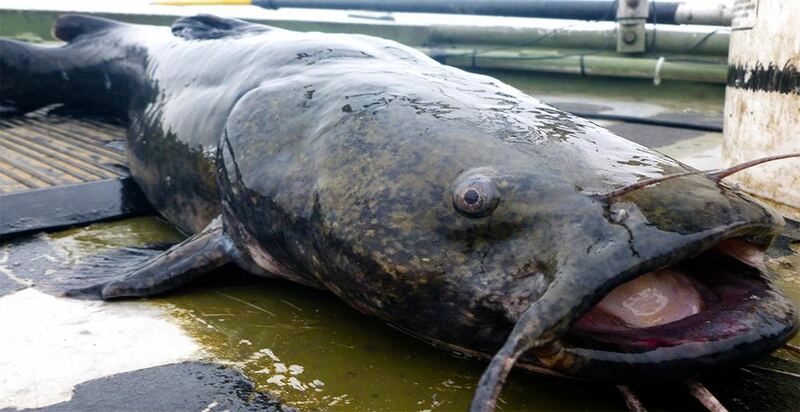 Non-natural breeding technology through hormonal induction is used for catfish breeding and production. One of the major problems with catfish is their cannibalism and to avoid this, keep the unrelated aged and sized fish split from each other. Tilapia – Second to catfish in terms of popularity among Nigerian fish farmers. It lives in fresh shallow water and it is very easy to cultivate. It also reproduces very rapidly and grows fast. Mackerel (Titus) – This is by far the most popular fish in Nigerian market but sadly, it’s not reared by commercial farmers. All Mackerel Fish are caught in the wild. Unlike poultry farming, any location is suitable for cat fish farming in Nigeria. The same can be said about snail farming. Secure land in the most accessible location for customers. Better still, use your own building or compound but have a means of transportation to your target market. Poultry farming wastes can cause great odor, which is why you don’t want to site your poultry farm in a residential area. Fish farming eliminates this problem. Your fish farm can be anywhere from your backyard to anywhere else, and there will be no problem. However, as a business minded farmer, you will need to consider how near your farm is to your target market. We have already noted the health benefits of fish, which has led to increased fish consumption not only in Nigeria but also in the world. Therefore, we can safely conclude that the fish market is ever blazing. Compared to other farm produce, fish sells more rapidly. Fish is also cheaper than beef, thus making it the first choice for consumers. This does not negate the need for marketing. There are already established fish farmers in Nigeria and you aren’t the only one planning to start a fish farm after reading this post. You need a marketing plan to complete your fish farming business plan. Branded products like hand bands, face caps, shirts, etc. Partnership with public and private institutions. Armed with a business plan, the next thing in the schedule of an aspiring fish farmer is subsequent setting up and launching of the farm. To correctly set up a fish farm, there are things you need to acquire and set up. Earthen Pond: Once you have made up your mind to work at your home compound, you can allocate a position in your backyard and dig a fish pond and start rearing fish in it. Concrete Pond: This type is constructed above the ground, using cement, sand, and gravel. It can be constructed in the backyard or at the garage. Fiber Pond: This pond is made of plastic tanks, which are cut in round shape and fingerlings can be reared there. The benefit of this pond is that it is movable and it can be placed in any corner of the homestead. Steady water supply: This can be attained by digging a well or collect rain water and store it in tanks. The depth of the pond: The pond should be four to six feet so that it can keep the level of oxygen moderate. The number of ponds: There must be at least three ponds in the area, and each pond should have different sizes of fish. Management: Fish management is sensitive, and a small blunder could lead to a disintegrated growth of your fish or can also lead to death, which may cause huge profit loss. Site: Fish ponds should be constructed on a safe and well-protected ground to avoid fish predators like birds, cats, snakes, etc. I should have mentioned earlier that fishes live in water. Lol. Adequate water supply is necessary to sustain your fish farm and lack of it may result in disaster. Your options include digging a borehole on your farm or building your fish farm very close to a river. You also need pumps to fill the ponds with water and move water from your storage tanks into the pond. Pumps are also used to drain water from the ponds, and this happens at the end of every growing cycle. Aeration devices are also important. They give the fish an adequate supply of oxygen. They also make it possible to have more fish in a small space. Aeration devices also make it easier to reuse the water after removing impurities. In order to produce healthy and nutritious fish, you have to feed your fish with nutritious fish feed. Make sure they consume feeds that contain amino acids and crude protein. You can also feed them with conventional animal byproducts and plants remains. If you happen to practice poultry farming, you have a big advantage because you can use the poultry feeds to feed your fish as well. Natural food: This is found naturally in the pond. This include; detritus, bacteria, plankton, worms, insects, snails, aquatic plants and fish. Supplementary feed: This includes cheap food locally like kitchen wastes or agricultural by-products. Supplementary feed is not the best for those who are into commercial fish farming business. Complete feed: This is a carefully made fish feed. They`contain the necessary ingredient and nutrients for optimum fish growth. They are sold in the market pre-packaged as pellets or in any other form that fishes can easily consume. Get your fingerlings from a farm with a good track record of supplying healthy fingerlings. Fingerlings are baby fishes that you will use to stock your pond early in your fish farming project. It is important to subtly confirm the age of the fingerlings you are buying from the producer or supplier. A six weeks old fish should be about 2 inches long while four weeks old fish should be about 1½ inch. However, it is advisable to stock your pond with 3-5 inches length JUVENILE fish. Also, don’t choose to buy your fingerlings from those who catch them from the wild river, the likelihood of you buying the right type of fish is remote. You will most likely end up buying a wrong subspecies of fish; the most common being Clarias submaginatus that might never grow past 186mm size. If by any act of omission or commission you end up with this species, you will forever regret the day you went into fish farming. 1) Unrealistic expectations: Yes, cat fish farming in Nigeria is a very lucrative business but it also requires time and consistency. Don’t believe self-acclaimed business consultants who claim that you can triple your investment in a short time. You will be hugely disappointed. 2) Half-baked knowledge: Any entrepreneur that dives into any business with inadequate information is laying a foundation for failure. The best option is to seek adequate training (much more that the scope of this post) where available. Where necessary, hire an expert or attach yourself to a profitable fish farm in your locality. 3) Irregular and improper feeding: This can be as a result of complete lack of knowledge about the nutritional requirements of fish. It can also be an attempt to save money at all costs. Both of these reasons are bound to result in failure. 4) Poor supervision: This can occur because farm owners refuse to employ qualified personnel to run their fish farms. Moreover, some farm owners have no direct involvement in production and management activities of the farm and would rather leave such tasks to unqualified hands. This is dangerous. 5) Poor marketing: You don’t wait until your fish is ripe for harvesting before you start marketing. The longer the fish stay in the pond after they have stopped growing, the smaller the profit margin. Finally, profit is the heart and soul of a healthy fish farming business. With this in mind, when starting catfish farming in Nigeria, carry out a detailed research. This well ensure maximum preparedness and greatly improve your profit potential. While there are many investment options when starting a business, few can match the potential of poultry farming in profitability. After analyzing all factors, catfish farming in Nigeria is an adventure well worth your money and time.